On Saturday, September 20, 2014, Birds of the World will reopen at the Harvard Museum of Natural History ​after a major renovation. 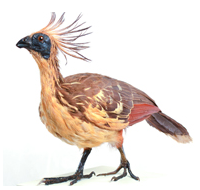 Located around the high balcony encircling the Great Mammal Hall, the new gallery captures the stunning diversity of birds, with hundreds of bird specimens on display representing over 200 different bird families from around the world. New displays reveal the very latest in surprising scientific discoveries about the evolution of birds, which scientists now know to be modern dinosaur descendants. 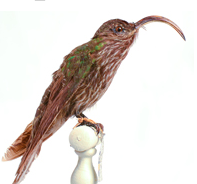 This exhibition is the culmination of months of cleaning and refurbishing mounted bird specimens from the Ornithology collections of the Museum of Comparative Zoology, completely renovating antique cases, and redesigning the exhibit displays. Boasting over 10,000 species, birds are the most diverse land vertebrates on the planet, surpassing the biological diversity of mammals, reptiles, and amphibians. Thriving in every corner of the globe, from tropical forests to polar ice caps, birds vary tremendously in habit and size from diminutive bee hummingbirds to towering 10-foot-high elephant birds, flightless giants that roamed the African island country of Madagascar until the 17th century. human colonization eight hundred years ago. Once the site of remarkable population diversity, Hawaii has lost many of its species to extinction. James will talk about the history of these extinctions and what lessons can be learned from them. Subsequent lectures this fall will commemorate extinct birds and explore the potential of genetic editing to possibly help species recover their genetic diversity. Street, Cambridge, on the Harvard campus, a 7-minute walk from the Harvard Square Red Line MBTA station. The museum is wheelchair accessible. The museum is open 9:00 am to 5:00 pm, 361 days/year. Admission: adults $12; seniors and students, $10; youth ages 3–18, $8; free to Harvard ID holders and one guest. For directions, exhibitions, lectures, and information on parking, see the website or call 617.495.3045.